Click Here to See the items in this year’s Silent Auction! 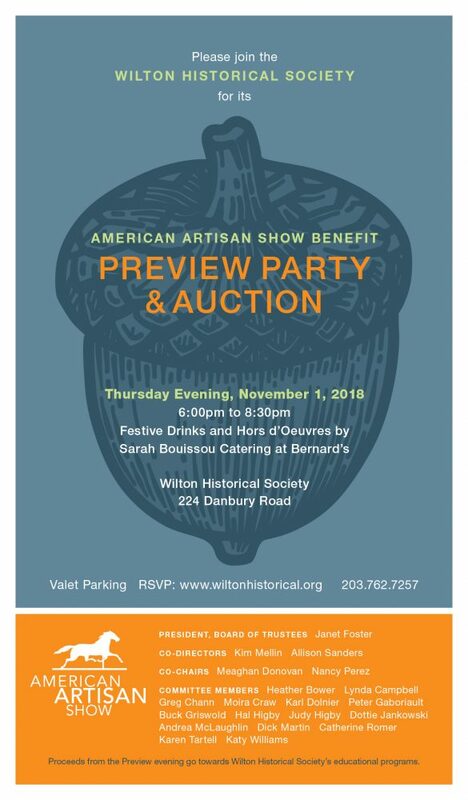 The American Artisan Show will kick off with a festive Preview and Auction on Thursday, November 1 from 6:00 to 8:30, giving guests the first opportunity to browse and buy while enjoying fine hors d’oeuvres provided by Sarah Bouissou Catering at Bernard’s. The Silent Auction will feature wonderful pieces contributed by the artisans and other generous friends. 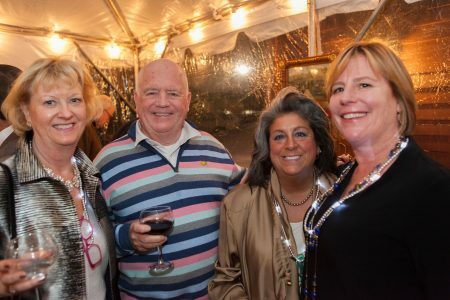 “All proceeds will directly benefit the Historical Society and its efforts to preserve Wilton’s history” said Janet Foster, President of the Board of Trustees of the Wilton Historical Society. This event was posted in For Adults by Admin.